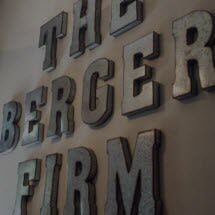 Family law is at the core of our practice at The Berger Firm in Covington, Kentucky. We provide integrity-driven, highest quality legal services to all of our clients. Our law firm responds to their challenges with a client-focused policy that uses a practical, consultative approach. Our success is a result of the law firm's culture of mutual empowerment, respect, hard work, opportunity and fairness. We have the honor and privilege of enjoying a reputation as the regional leader in our field of law. Our industry-leading team has and shares our 50 years of law practice experience, continuing education and countless successful cases. In line with our focus on the betterment of families, we also assist our clients with their legal needs involving personal injury and criminal law. Our clients reside in many Kentucky jurisdictions surrounding northern Kentucky, including Covington, Newport, Florence and Erlanger, as well as the nearby Cincinnati area and many other communities. At The Berger Firm, we welcome free initial consultations and accept credit cards. Understanding that life happens, our law firm also provides other affordable and flexible payment options, including PayPal.